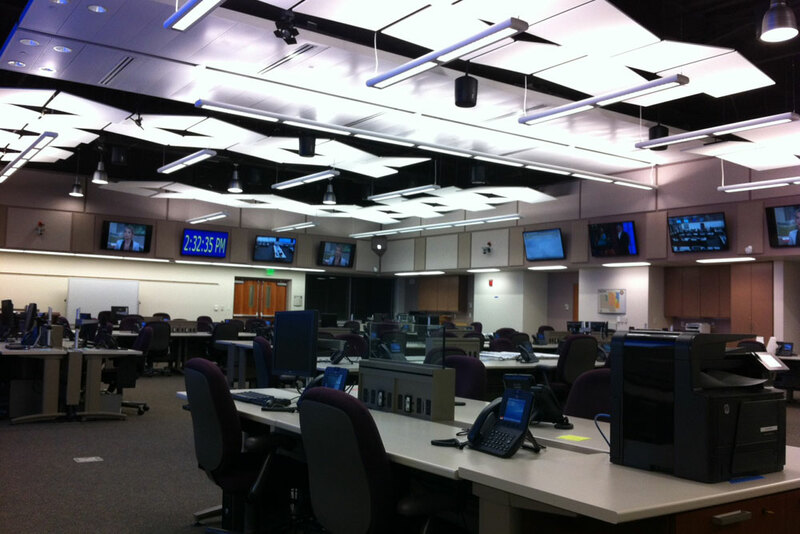 The Lee County Emergency Operations Center (EOC) plays a fundamental role in the safety of the citizens of Lee County, FL. It is imperative that the AV technology be reliable, cutting-edge and user friendly. The EOC is the official county warning center for natural or man-made hazards that threaten the area such as hurricane, fire or flood. 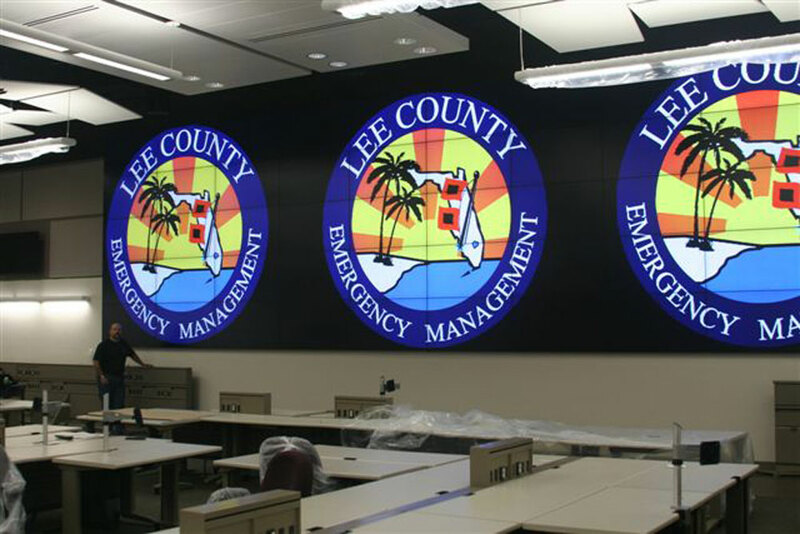 Encore Broadcast Solutions has partnered with Lee County for over 15 years and was a perfect choice to work with the Lee County Emergency Management design team to develop a budget friendly, effective solution. We were also responsible for the sales, installation, training and ongoing support of this brand new facility. Being a mission critical operation, Encore understood that the equipment required needed to operate seamlessly. 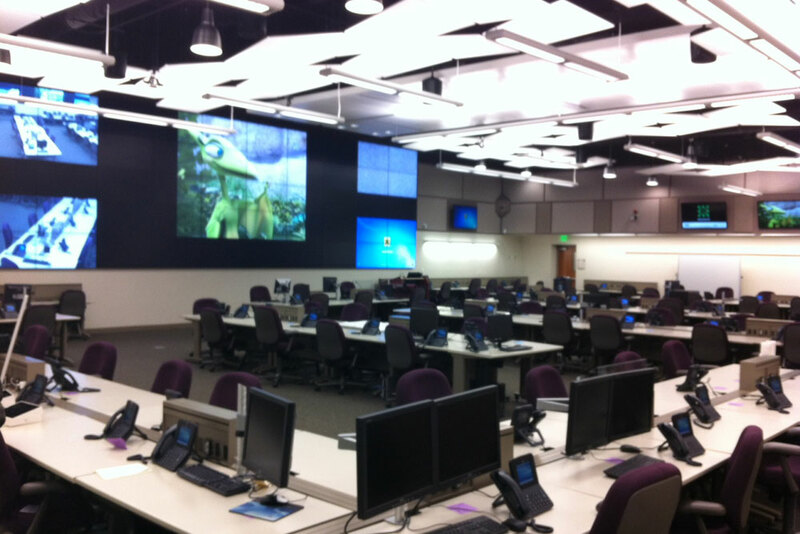 We put in a Planar 50 panel video wall with 10 panels across and 5 panels high in the situation room to be utilized for training as well as emergency applications in the event of a hazard. An AMX NI-4100 NetLinx Integrated Controller was used applying IPad interfaces and apps through touchscreen. There is an SVSi routing system over a CAT6 shielded network with 30 sources going out to 60 destinations. For audio Encore chose the Lectrosonics Aspen SPN1624 16 input / 24 output digital audio processor. Shure microphones were used in the situation room for discussions. 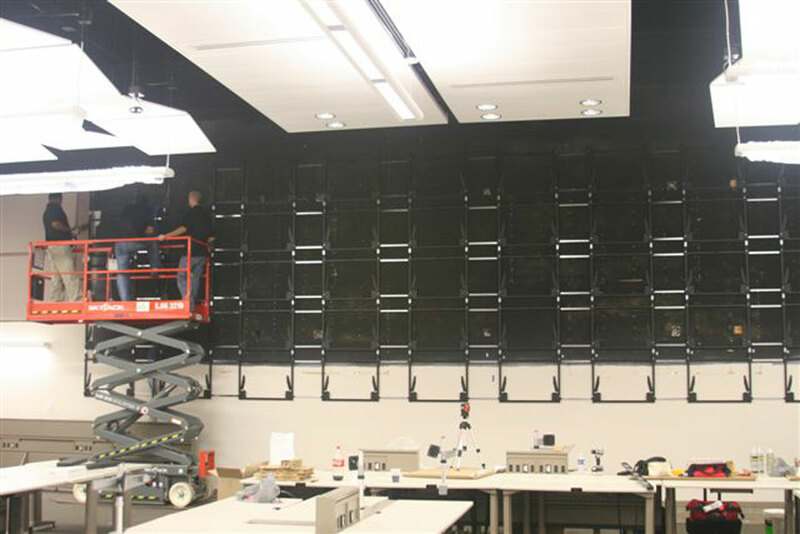 Atlas Sound speakers were installed for their in-house paging system. Encore also installed a LifeSize video teleconferencing system that is not only used in the main video wall, but in three separate meeting/training rooms. We utilized video bridge technology to allow 50+ users to connect to the system. Planar monitors were placed in every room with all sources routed to each room. Panasonic AW-HE50 pan-tilt cameras are used in the situation room for live press feeds as well as tying into the video teleconferencing system. LifeSize cameras were used in all other rooms. We also integrated television interface pedestals that have the ability to route to any of the sources within the facility and to production trucks for recording purposes. Overall, this project lasted for nine months, working with the construction company and client to provide a state-of-the art facility.